After yet another fatal “accident” involving mining operations in Semirara, Antique, advocates against destructive mining and coal point to Semirara Mining Corporation (SMPC) and the Department of Environment and Natural Resources (DENR) as the ones primarily responsible. “Responding to numerous complaints from residents of Semirara, DENR led an investigation on the facilities operated by SMPC, which the company was quick to boast as having found to be ‘technically sound,” Arances noted. “It even led to a surge in their stocks that year,” he noted. 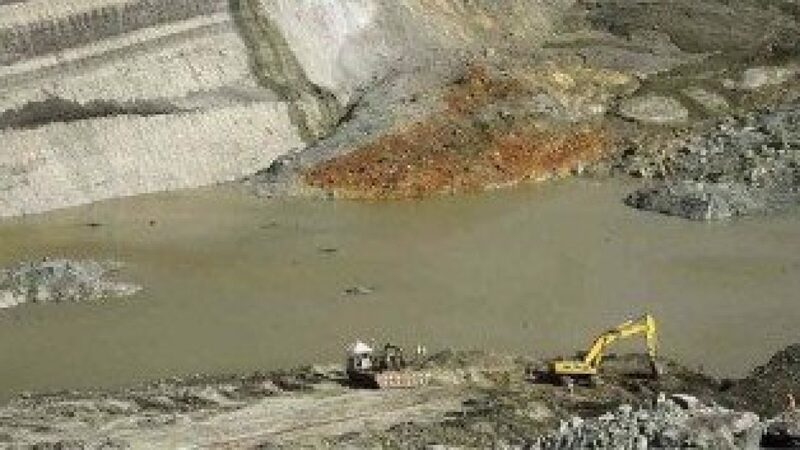 “The Molave mining pit is one of the two mining pits being operated by SMPC in the island, which has been met by continuous resistance from affected communities in Semirara and civil society because of its effects on the environment, health, and the livelihood of the people,” Arances said. “What is tragic is that given the ban on open pit mining and the requirements supposedly being strictly implemented by the DENR, it could have been prevented,” he added. President Rodrigo Duterte has yet to lift the ban on open pit mining, yet SMPC has been on record that the mining ban does not affect them as the pits they are operating have complied with necessary requirements. Furthermore, SMPC has even expressed the intention to expand their operations due to the discovery of more mineral deposits in the island. “The death of Felipe is not the first and certainly will not be the last if SMPC continues to conduct its destructive mining operations in the island,” said Atty. Aaron Pedrosa, Sanlakas multisectoral coalition Secretary-General and CEED Board Member. “Last February 2013, five of their miners were killed due to the company’s negligence, while on July 2015, the utter disregard of SMPC for its workers and the environment cost the lives of nine (9) more,” he continued. Pedrosa pointed to the vast influence of the Consunji family on national politics throughout the years as the reason for their impunity. “For forty years, SMPC and the Consunji family have been getting away scot-free in their failure to observe even the most basic laws on environmental protection, while continuing to enjoy a tax-free status from the government,” he discussed. “The fact that they have successfully evaded any form of punishment from their blatant neglect for the rights and safety of its workers is symptomatic of their negative influence in our policies on mining, the environment, and governance in general,” Pedrosa continued. “President Duterte’s posturing on the issue of mining simply is not enough anymore, as another life once again is lost despite of his empty remarks against the industry. This should be the last nail on the coffin that will put SMPC’s operations to a complete stop. Justice has long been overdue for the people of Semirara,” he concluded.